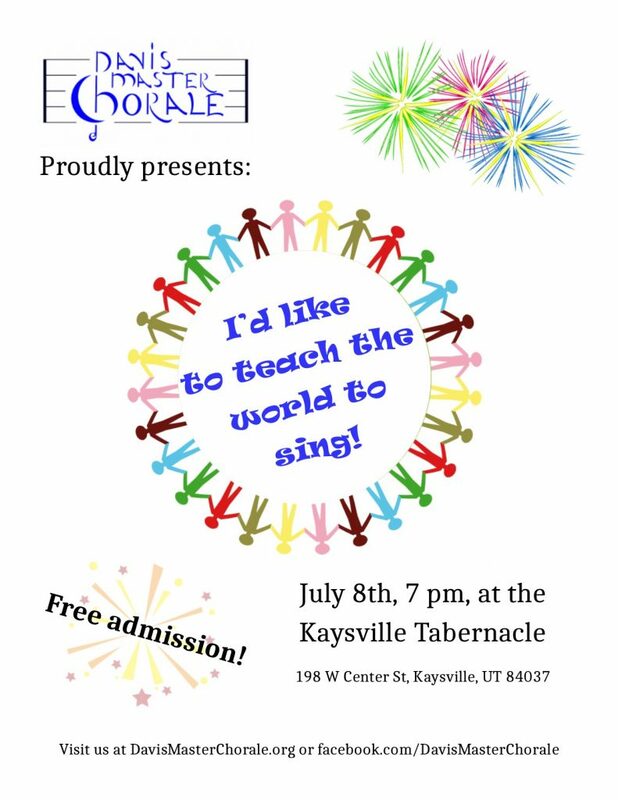 The Davis Master Chorale will be holding its FREE Summer Concert on Saturday July 8th at 7 pm in the Kaysville Tabernacle. The address is 198 W Center St, Kaysville, UT 84037. Rehearsals for the Davis Master Chorale Summer Season begins May 2 in the choir room at Davis High School. Rehearsals are every Tuesday evening from 7:30 to 9:30 pm. No audition required and just $20 per person. We’ll be singing patriotic music with a smattering of Broadway.